This book has been written to summarise the available knowledge regarding transcutaneous bilirubinometry, the first technique that allows a completely non-invasive measurement of a clinical variable. This technique led to important changes in the management of neonatal jaundice, the most common clinical condition of new-born infants world-wide. Transcutaneous bilirubinometry has its roots in the old observation that yellow skin colour is due to the deposition of bilirubin, a chromophore molecule. 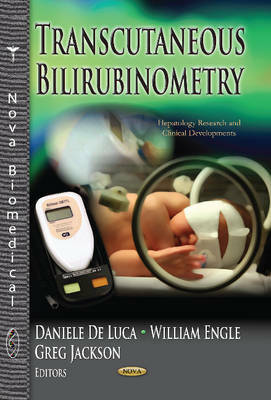 More recently, transcutaneous bilirubinometry has involved many disciplines; and accordingly, this book has contributions from physicists, biologists, paediatric dermatologists and neonatologists who have clinical research expertise in the field of neonatal hyperbilirubinemia. We hope that this book may prompt the advancement of research that will answer the as-yet unanswered questions, improve the reliability and usefulness of transcutaneous bilirubinometry, and respond to the clinical needs of our little patients.